IMMACULATE describes this wonderful corner unit. One of the largest in the complex with a flex room located at the entrance to the unit. 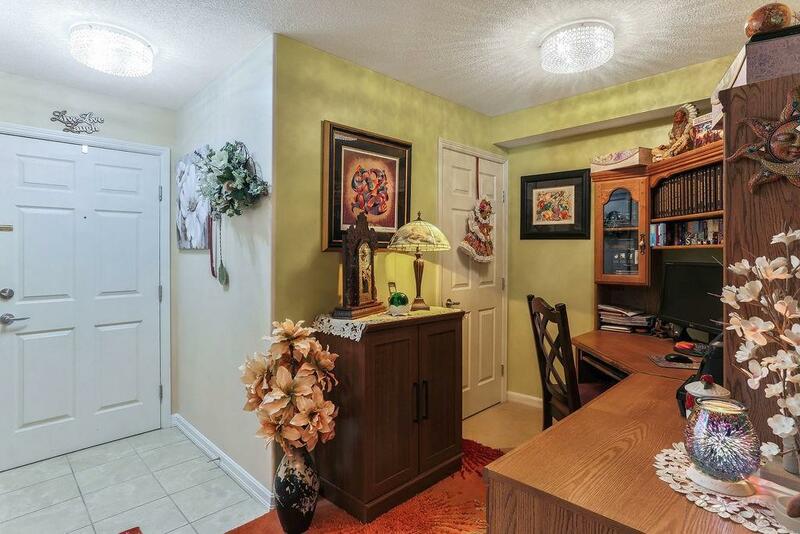 Bright and cheerful with extra windows and some upgraded bling lighting fixtures. 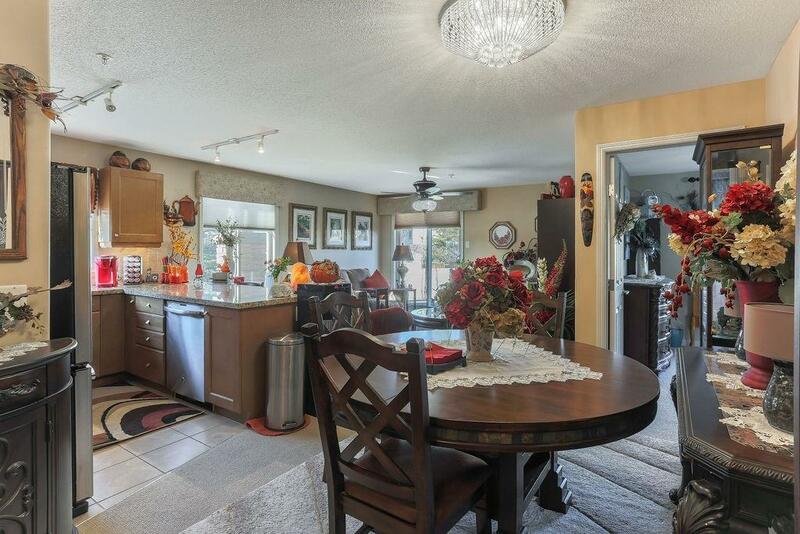 Stylish kitchen features granite countertops and UPSCALE stainless appliances. Good sized dining area accommodates a large table ideal for entertaining. 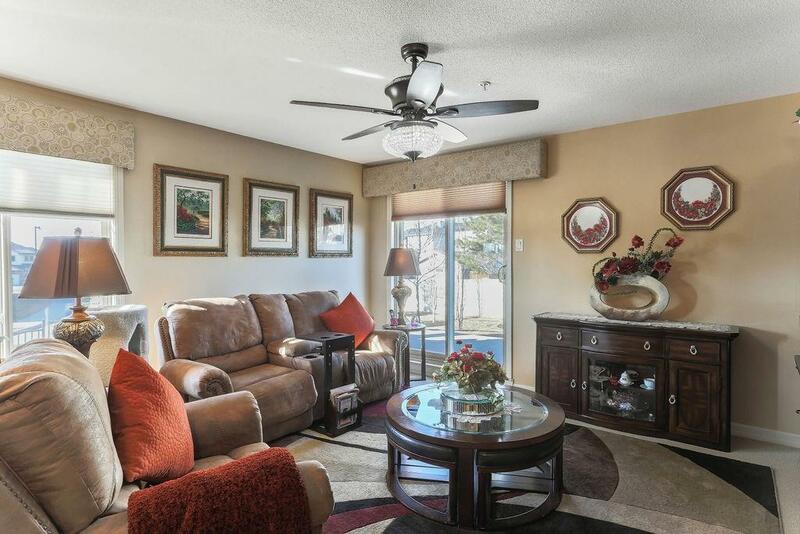 Huge living room boasts patio doors leading to West facing yard. Master offers walk-through closet to the ensuite. There is also a second bedroom and bathroom for your guests. Separate laundry room holds your storage as well as your washer/dryer. 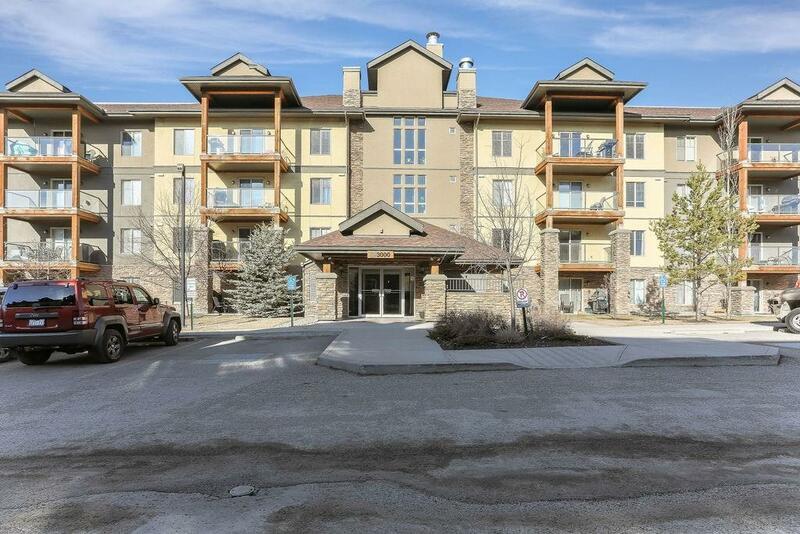 One underground parking stall and storage unit is included. This unit does include lake access. There is a superb amenities building with a party room which includes 3 pool tables, reading area, kitchen and exercise room.